Today is our first day trying out the subway system. 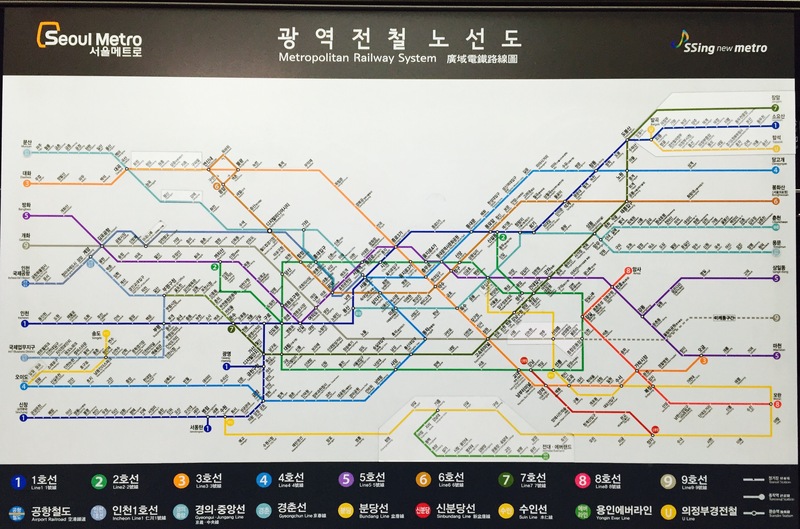 There are 9 main lines and 9 additional (I believe smaller lines) in the Seoul Subway system. Everyone has told us it’s very quick and easy, so here is our take on it. 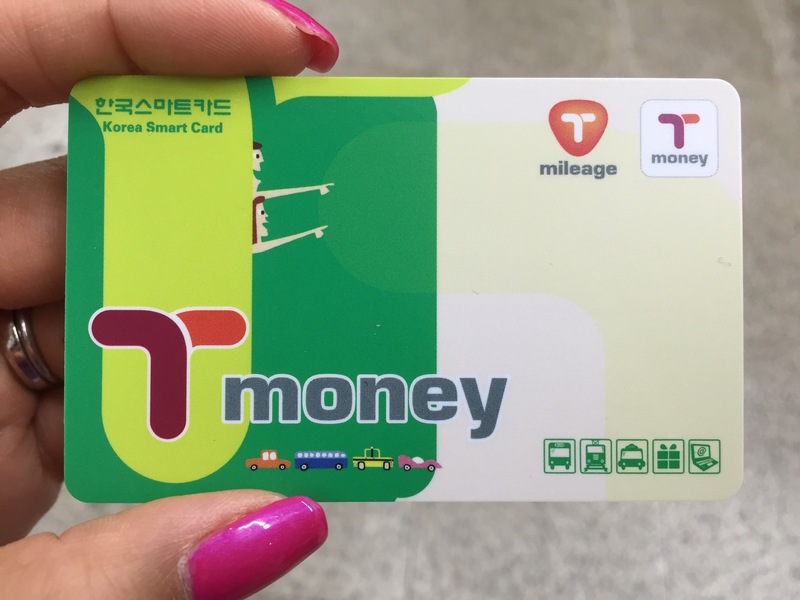 You’ll want to get a T-money card first and load some money on it. This card is good for all public transportation (so buses, subway, and can even be used in taxis!). In addition to being convenient, you’ll get a small discount as well. 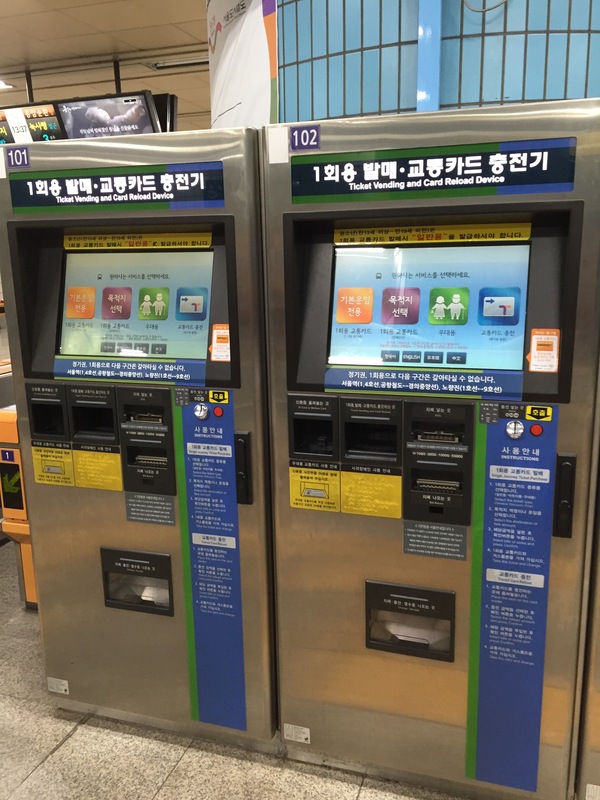 You can add money to your T-money card at the machines in the subway or at any convenience store (7-11, GS-25, etc). 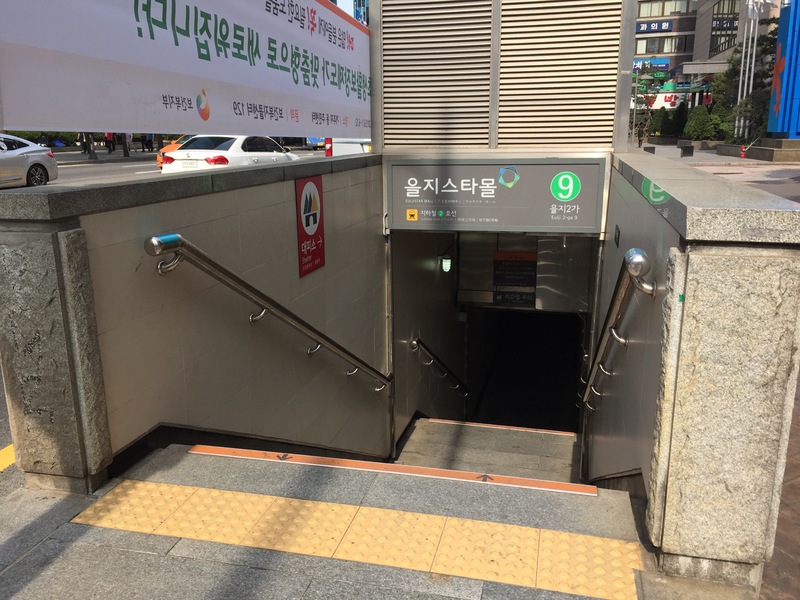 Subway stations are all well marked in Korean and English and also states the exit number. When you get directions for a restaurant or other establishment, make sure to get which number you should exit from. 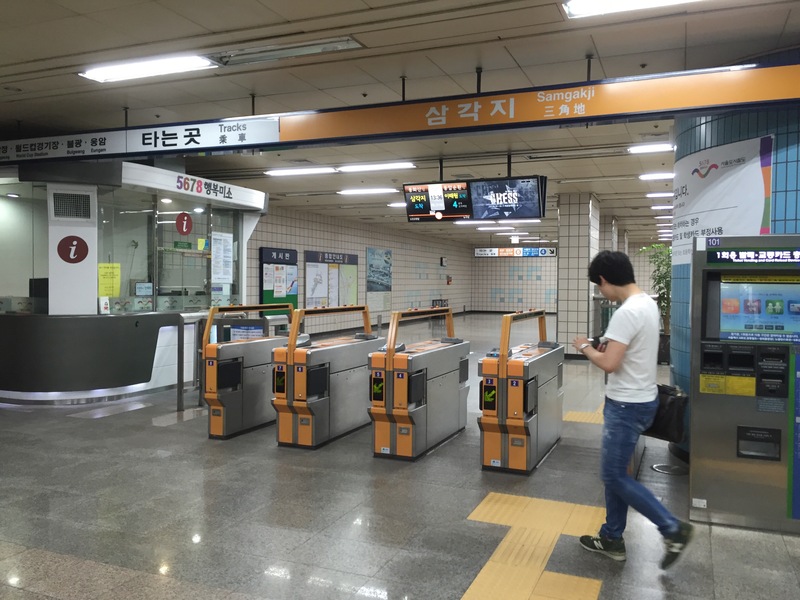 The fare for the subway is very inexpensive (1050 won). 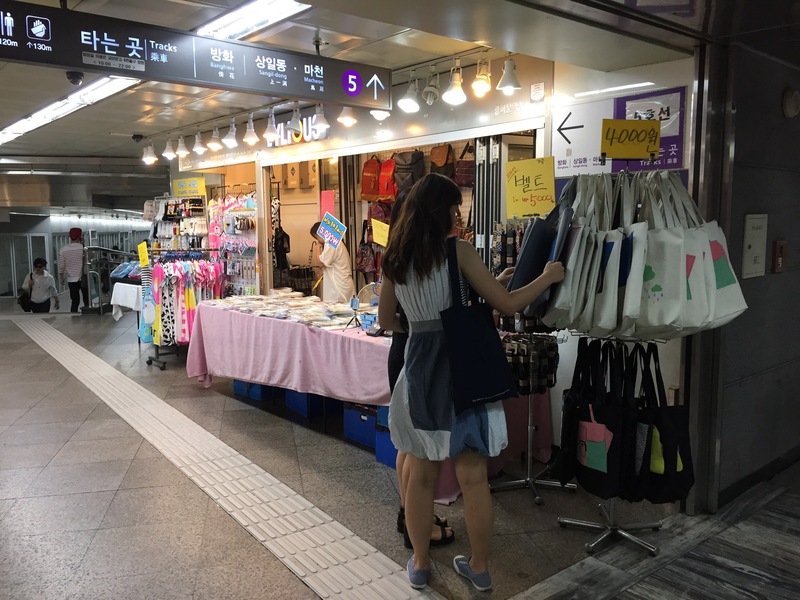 Once you get underground, it is very common to see some shopping areas (stores and stalls). All of the lines are both numbered and color coded, so it is very easy to navigate. There are numerous subway apps/maps you can download to help navigate your way throughout the city (Currently we’re using the Seoul Subway app). Previous Post Churros in Korea?